Bilbao is one of Spain best cities to visit in Spain. Home of Basque Country and also a big culture Hub. Frank Gehry`s Guggenheim Museum is a must see attraction. Food is awesome here. Bilbao is the main city in basque country, Spain. It is great how an industrial city totally reinvented itself after the creation of a new museum. There's for sure a before and after Guggenheim Bilbao. The city has an animated cultural life, between The main museums, or art neighborhoods or the old town / Casco Viejo! Food is fabulous.It's not a beautiful city at first sight, but the more you get to know the more you enjoy it. Bilbao is a lively, beautiful cosmopolitan city with an excellent airport. The architecture and downtown area along the river are spectacular, with old and new bridges intermingling with beautiful lines and shadows. We were there on a National holiday and all the stores were closed, but the bars and museums were wonderful. Excellent walking city. I was actually here for a week working and while I love Spain, I'm not crazy about Bilbao. It doesn't have the beauty of Madrid or Barcelona BUT it does have the Guggenheim. That is the main reason to go. The boardwalk has many elegant cafes and some great restaurants. I can't believe I get to be the first on Gogobot to pop Bilbao's cherry - Joder, este mola, tio! But seriously, Bilbao is the Barcelona of the north but even better 'cause there's tons of skateboarding AND surfing too! The locals here are fiercely independent but stoked on foreigners (just not too keen on the Spanish government) so if you wanna break the ice fast, pick up a few words of Euskara and they'll know you're down with the struggle. If you're not into skateparks or point breaks, there's plenty of other attractions to keep ya entertained and the party ain't over till the churros are dippin' in hot chocolate and the sun's coming up. 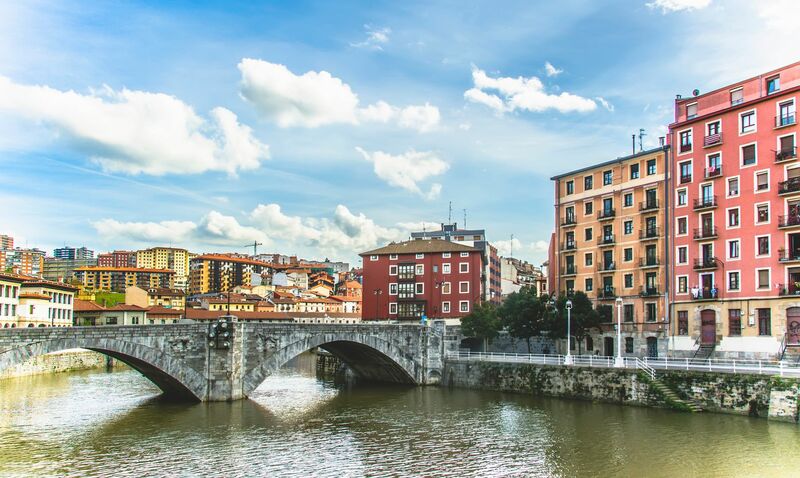 Bilbao is one of the most exciting cities in Spain's Basque region. Modern art, striking architecture and internationally renowned cuisine come together to create a unique, vibrant destination that most travelers tend to pass up in favor of Barcelona or Valencia. But don't miss Bilbao's myriad cultural surprises. The most obvious example being the Guggenheim museum, designed by Frank Gehry and located along the banks of the Nervion River. The structure itself is something to behold, but inside, visitors can see unparalleled works of art (permanent and traveling exhibits) from Spanish (including Dali) and international artists. If Barcelona is Spain's urban, sophisticated, stylish San Francisco; and San Sebastian is its upscale, resort town Santa Barbara; then Bilbao is its edgy, rock'n'roll Venice Beach or Melrose. It's industrial and gritty with a thriving youth scene (tattoo shops, kids with shaggy hairdos and mid-calf tennis shoe boots, bars spilling revelers out onto the street, punks with dogs). Most tourists find their way to Bilbao to see Gehry's fish-like architectural wonder. But I like the town's culture and realness. A great city for an architectural pilgrimage. Aside from the Guggenheim, there's amazing bridges by Santiago Calatrava, plus the classical architecture of the Old Town and the city itself. Esta ciudad me encanta! Tanto por las personas, por su cultura, como para ir de pintxos y potear en el Casco Viejo.